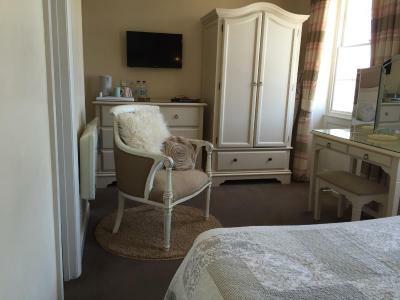 Lock in a great price for Seaham - rated 9.7 by recent guests. Nick and Caroline were very friendly and helpful. The breakfast was amazing. 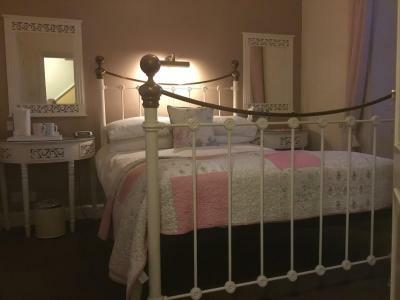 The Seaham guest house food was lovely the hosts were welcoming,the room was spotless.the location good.Had all what u needed for a short stay . The welcome given by the hosts was second to none! The room was spotlessly clean and well equipped with everything I could possibly want. Even supplying decaf coffee which is unusual, The bed was very comfortable and the freshly cooked breakfasts were superb! Free parking was a welcome addition too! The hotel is centrally situated. I minute to the nearest beach and about 7 minutes walk to the town. There were adequate bus services too! I would certainly recommend this hotel to anyone. The room was tidy, clean and very comfortable, breakfast room was clean, tidy and the full English breakfast was amazing, the owners where perfect host !! Easy location to town, and lovely stroll along the beach!! Parking was good!! The room was clean and comfortable, breakfast was excellent. The owners, Nick and Caroline, made us feel so welcome. It was my first visit but felt like I have known them for a while. Thanks to both of you. Breakfast was lovely. The owners were so friendly and made us very welcome. Room was lovely. Breakfast fantastic and helpful hosts. The whole experience was perfect. 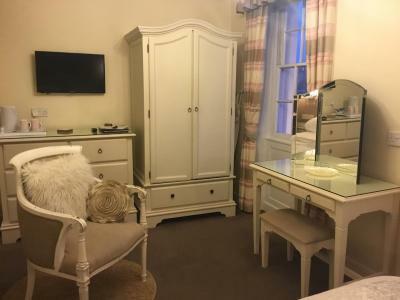 Spotlessly clean, amazing room with lovely bed, bedding very good quality, think it was made with a ruler. Bathroom had lovely white springy towels. 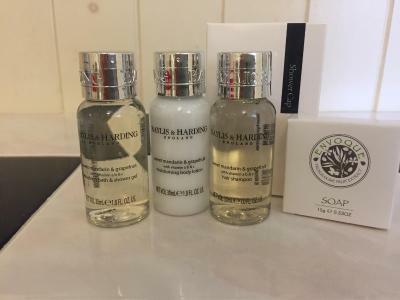 Baylis and Harding toiletries, excellent touch. 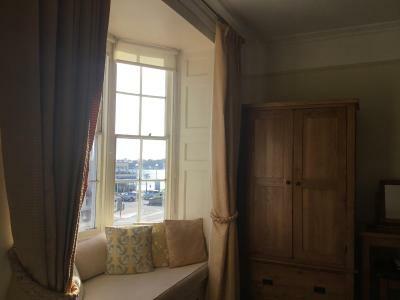 Had a siewiew room with seating in the bay window. Breakfast first class, hot, delicious. Coffee in a cafetiere. Linen napkins. We were given a parking space right outside. Nick and Caroline perfect hosts. Basically perfect. Thank you. 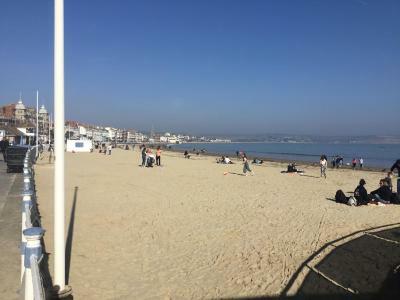 Across the road from Weymouth Beach, this bed and breakfast has stylish double bedrooms and free Wi-Fi internet access. 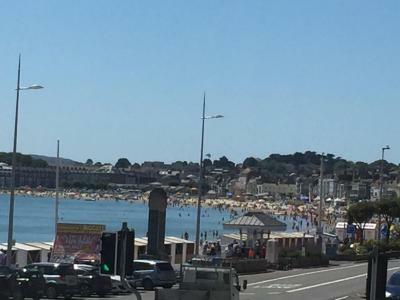 Weymouth Train Station is a 5-minute walk away. A traditional full English breakfast, with fish and vegetarian options, is served in the elegant dining room. The Sea Life Adventure Park is about 0.5 miles away along the coast. The Seaham is well located for exploring the historic town. 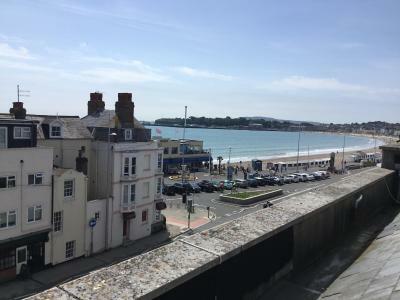 This property also has one of the best-rated locations in Weymouth! Guests are happier about it compared to other properties in the area. Seaham has been welcoming Booking.com guests since 17 Mar 2010. When would you like to stay at Seaham? 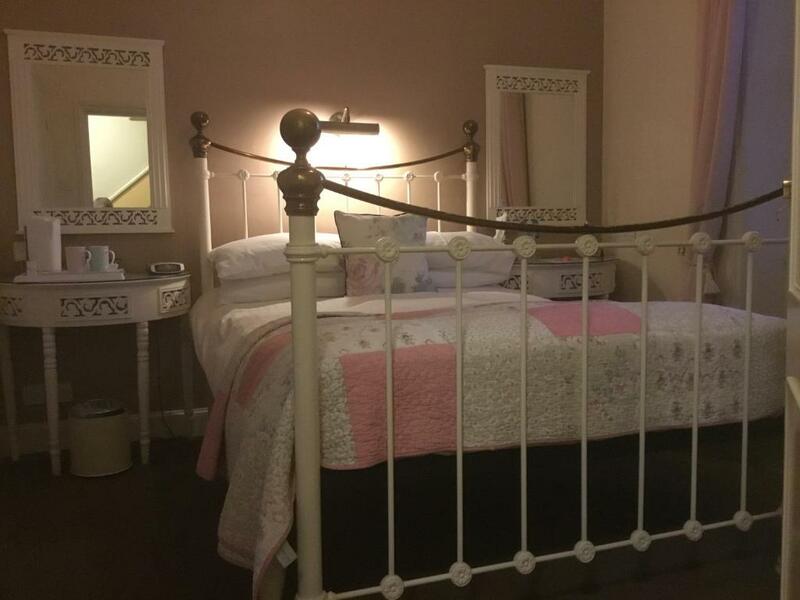 Rooms are individually designed and feature an en suite bathroom and tea and coffee making facilities. 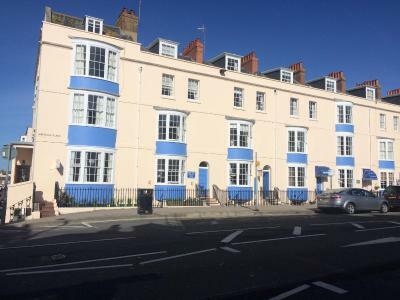 We welcome you to our smart, stylish and modern bed and breakfast in Weymouth just minutes from Weymouth Beach in the heart of the Jurassic Coast in Dorset. 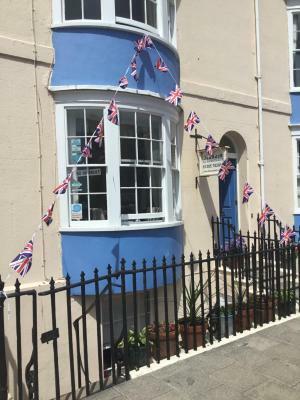 The Seaham is a popular Weymouth Bed and Breakfast where we provide an atmosphere of warmth and friendliness. 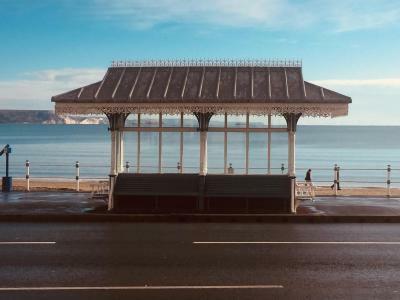 Our B & B has a fantastic location at the end of Weymouth seafront, literally across the road from Weymouth beach and the Pier Bandstand. A short stroll will take you into the town centre, passing some favourite restaurants on the way. 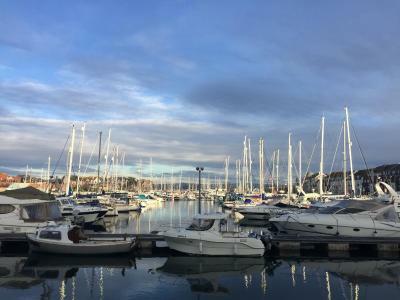 A little further on you will find the picturesque historic harbour. 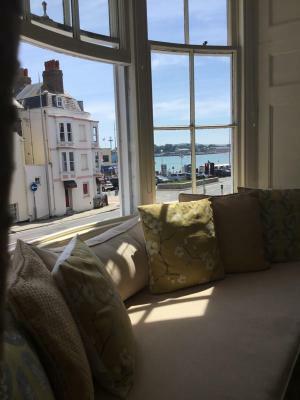 Customers are truly guests in our home and we will be glad to help you find the best restaurant for you, point you to be the best local attractions and make sure you don’t miss out on things you would not want to miss. House rules Seaham takes special requests - add in the next step! Seaham accepts these cards and reserves the right to temporarily hold an amount prior to arrival. Guests are kindly requested to inform the hotel of their estimated time of arrival. This can be noted in the Comments Box during booking or by contacting the hotel using the contact details found on the booking confirmation. I have no criticism whatsoever. Don't miss this one! 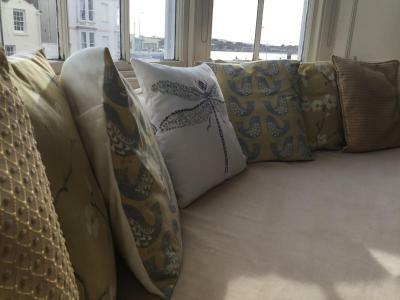 Lovely boutique style with everything you could need and wish for. Excellent English breakfast and other breakfast options. 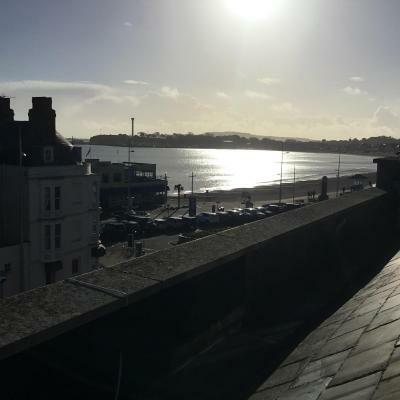 A real find in a good location - sea and promenade across the street and the town centre/harbour area a pleasant and easy walk. Friendly and helpful owners and great value for money. 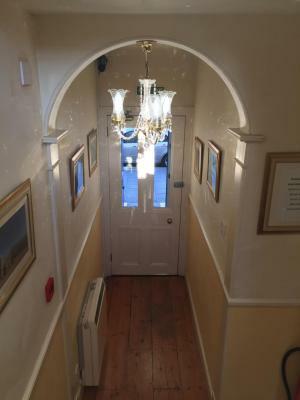 The whole experience was so nice, no problems with the booking in, and both of the proprietors were excellent, very helpful and attentive at all times. We will definitely use and recommend seaham to anyone. Nick and Caroline were brilliant.